The CYB podcast is a collaboration of Treadstone Risk Management and Liberty Benefit Advisors. The series is dedicated to bringing free and easily understandable insurance and risk management ides and concepts to business owners, organization leaders, families, and individuals. CYB Episode 5: Social Media in the Workplace with Guest Kelly Adler of Capehart Scatchard - John and Matt welcome their first guest, Kelly, to speak about the love-hate relationship employers have with social media, federal protections for employers, and some best practices to help avoid messy lawsuits surrounding employee use of social media. Ep. 4 - Call Your Broker - Mailbag from 9.27.18 - topics covered include facilities use agreements, volunteer accident coverage, updates from the NJ SHIF and ACA rebates. Ep. 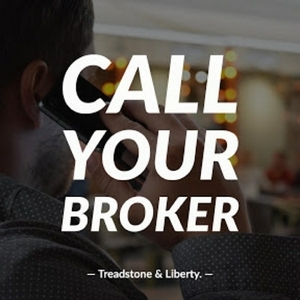 3 - Call Your Broker - The Price Is Right. Or is it? How do you decide between a good price and good value? The team discusses the insurance marketing process and how they determine what is really a good deal for the client. Ep. 2 - Call Your Broker - Collective Bargaining Post Ch. 78 Sunset (NJ) - how will the sun setting of Chapter 78 contributions affect the collective bargaining of teacher and other union benefits contracts? John DiMartino from Liberty Benefit Advisors lets you know. We also discuss a great tool we use to help facilitate CBA negotiations.